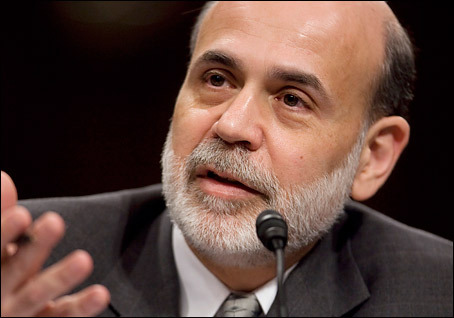 As Nigerians continue the debate on the amendment of the Central Bank of Nigeria Act, Ben Bernanke Chairman of the Federal Reserve System delivered a speech in 2010 defining the scope of Central Bank independence. For those who may not have time to read the full speech, here is a brief on what he said about Central Bank’s independence. Central Banks were largely able to deal with the financial crisis because they were able to make monetary policy decisions based on what is good for the economy in the longer run, independent of short-term political considerations. Central bankers must be fully accountable to the public for their decisions, but both theory and experience strongly support the proposition that insulating monetary policy from short-term political pressures helps foster desirable macroeconomic outcomes and financial stability. There exists a broad consensus among policymakers, academics, and other informed observers around the world that the goals of monetary policy should be established by the political authorities, but that the conduct of monetary policy in pursuit of those goals should be free from political control. Political interference in monetary policy can generate undesirable boom-bust cycles that ultimately lead to both a less stable economy and higher inflation. He lists some of the nonmonetary functions to include, oversight functions over the banking system. In the conduct of its regulatory and supervisory activities, the central bank should enjoy a degree of independence that is not greater and not less than that of other agencies engaged in the same activities; there should be no "spillover" from monetary policy independence to independence in other spheres of activity. These activities involve the provision of short-term, fully collateralized loans to the financial system as a means of meeting temporary liquidity needs, reducing market dysfunctions, or calming financial panics. Democratic principles demand that, as an agent of the government, a central bank must be accountable in the pursuit of its mandated goals, responsive to the public and its elected representatives, and transparent in its policies. Also the Monetary policy committee of the Federal Reserve publishes a statement after each of its meetings that explains the Committee's policy decision and reports the vote on that decision. The FOMC also publishes the minutes of each meeting just three weeks after the meeting occurs and provides, with a lag, full meeting transcripts. In addition, the FOMC has begun providing the public a quarterly summary of Committee participants' forecasts of key economic variables and, more recently, their assessments of the longer-run values to which these variables would be expected to converge over time. I watched a documentary 97% Owned on http://topdocumentarystream.com/97-owned/. I would say that this is first documentary highlighting this issue. 1. CBN is required to be transparent and accountable. Can we say that of the current CBN? 2. Autonomy is in relation to monetary policy, and not non-monetary functions. Is our own CBN not a total government on its own, including building bridges and disaster relief? 3. 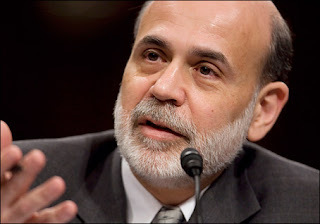 Bernanke says the goals of monetary policy should be established by political authorities, doesn't he? Is that the policy here? 4. Is our CBN accountable to anyone? Is it accountable to the Nigerian public? 5. hasn't the CBN on several occasions refused to be accountable to the elected parliament in contravention of these presriptions? @opeyemi/ I totally agree with the questions you have raised. I already did an earlier blog post asking "Is Sanusi Nigeria's most powerful man?" I think the current CBN act places too much power in the hands of the governor. I find the argument that appointing a board for the CBN will amount to political interference lame. The current management of the CBN including the governor are political appointees. So if the President can appoint a credible management, what stops it from appointing a credible board to act as a check on management. My next post is on the structure of some major central banks around the world. I am yet to see a central bank with the autonomy our CBN has in the developed world. Anyone who has, should please provide the link..